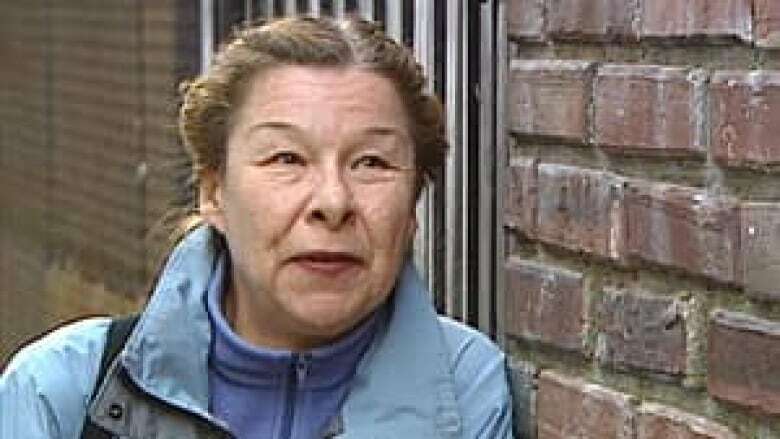 Judy Graves was hired in 1991 by the City of Vancouver, and eventually she carved out a niche for herself as an advocate for the city's homeless population. During her signature overnight walks Graves traversed the city's neighbourhoods in the wee hours of the morning talking to people sleeping on the streets, trying to step them into housing. Today, the day she retires, Graves reveals to the CBC how her faith has guided her work for the past 22 years. Q: When you first began your work, what was happening on the streets of Vancouver? A: It was about 1993-1994 and we were seeing street homelessness in the nice parts of downtown for the very first time. So when I was growing up and into my late 40s, we would never go downtown and see someone sleeping in a doorway. That was something you'd see in the United States and it had always horrified me. But when I saw it in my own city, I had to get out there and find out what was wrong. Q: Why were so many people on the streets and in the doorways? A: We had several people collide in the early 90s. We had the federal government pull out of supplying subsidized housing for the very poor. We had been developing rapidly in Vancouver so the old rooming houses had been torn down and the apartments that had been built weren't affordable for anybody with a low income. We had welfare cutbacks, and the system became so difficult that people with any kind of brain injury or mental illness could not navigate the system. Q: What did you do when you started to see this? A: I would go out into the street in the daytime and ask people what happened and how I could help. My boss said this was not my day job. So I started going out in the middle of the night and I found that the very best time to connect with homeless people was between about maybe 2 o'clock and 6 o'clock in the morning. No one else is around and anybody who's lying down in the street is there because they have nowhere else to go. Q: How did people first react to you? A: They'd react wonderfully well. I'm very very gentle when I wake people and if they don't want to talk, I apologize and leave. But people have been warm and friendly and kind. They've shared their life stories and everything they know. Essentially everything I've learned, I've learned from my professors, priests and rabbis who live behind dumpsters. Q: In your time doing this, have you ever felt afraid for your life? A: Yep! There was one, just horrible incident, where a man came after us with an iron rod, just leaped out from behind a barricade he had made. He swung it toward my head, and that was very scary. But it stands out as just a complete anomaly. Q: Someone else might have done this job in a different way. Why is it you have gone above and beyond the job description? A: I was appalled. There was a real emotional reaction of being appalled, of seeing Canadians live outside in my city, right on the sidewalk. I think about the same time, I was very moved by the words of Jesus in that passage in Matthew, you know, "As you do for the least of these…you do for me." When you internalize that, it becomes a very powerful all-encompassing drive. Q: Can you even talk about your faith as a bureaucrat, or is that off the table for you? A: It's always been off the table in the City of Vancouver, we speak with a secular voice. I think it's been a wonderful gift to have that discipline because if you have to do your faith instead of talking about it, you can't kid yourself. If you talk about your faith, you can actually convince yourself that you're a whole lot better than you are. Q: Given you morphed your day job to do this, that it's not solely a sense of civic duty, how do you retire? A: I retire from the bureaucracy. I can't retire from being an advocate because that's who I am. I can't not notice who is in the street. I can't not respond when it becomes clear to me there's something I can do for a particular person. Often there isn't. Q: What do the rest of us need to know then, as we walk by the people you stop and talk to? A: As you walk by, you need to know this person is your neighbour, that they're part of your neighbourhood, your city and your country. They need to know that there isn't anything to fear. Forget what your mother told you, you're a grown-up now. Walk past, say 'Hi', listen, and you will come across a very rich experience that you will never forget. Q: The city of Vancouver has not said if it will replace you in the position as homeless advocate. How hopeful are you that the change will continue to happen? A: With all my heart I'm hoping they'll replace me. It takes a lot hours to do what I've done and you can't ask that from another human being. There are a couple of women younger than I am, working with me right now, and ideally the two of them together would do it brilliantly and hopefully better than I've done.